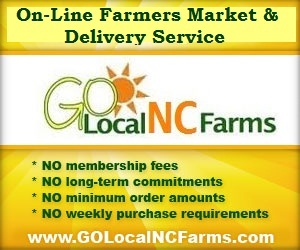 An On-Line NC Local Foods Market and Delivery Service for the Charlotte and surrounding areas. Please update home address in your user info. We strive to provide products that come straight from the producers to you and are free from hormones, antibiotics, preservatives, GMO\’s and Pesticides and offer Certified Organic options whenever possible. You\’ll receive a confirmation email the Friday before your delivery.